The Curry Brothers is a cozy little restaurant with a nice homely feel in the happening suburb of Bandra in Mumbai. It has a retro feel, with the bulbs, lighting,& board games along with pictures and frames of recipes handed down from generation to generation. It’s a flashback & throwback to another era. One feels like one is at a relative’s place. The music was also Goan folk. The menu was given in an exam writing board. There’s a variety of mainly regional Indian cuisine. So we started with the Gondhoraj lemonade (125 Rupees). The lemons come from Bengal. It was naturally lemony, sweet enough & took us straight to our childhood memories of fresh nimbu pani. Our first starter was Paneer Cafreal (200 Rupees) .. cubes of paneer coated in lots of coriander and a hint of garlic and fried garlic … something quite different. Next up was Mushroom chilli (250 Rupees).. spicy in a pepper heat sort of way. Buttery with simple seasoning & the sweetness of onions. For our main course, we had Veg Kaldeen Khowsuey Curry ( Rupees 350) which was served like Khow Suey with rice noodles but nothing like it. It was a rich, mildly spiced, sour curry with vegetables. We rounded up our main course with the evergreen Rajma-Chawal curry bowl (Rupees 200). The jeera rice was perfect. The simple rajma was well-cooked & the flavour of tomato was dominant but there wasn’t any prominent spice or other flavour. We rounded up our meal with the Gondhoraj Lime Cheesecake (Rupees 200) & it was perfectly sour, creamy, soft & cheesy. A fitting end to a unique & memorable meal. We would definitely recommend The Curry Brothers to you. 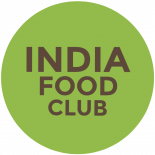 This entry was posted on January 10, 2018 by India Food Club in Restaurant Review, Uncategorized and tagged brothers, cheesecake, cuisine, curry, godhoraj, khow, multi, restaurant, review, suey, the.